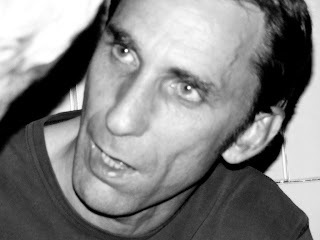 I would consider Will Self one of my favorite contemporary authors. And that's saying quite a bit, since I've only read one of his books. But that book, Great Apes, is a blast of everything Self is about: shocking people, telling tales of English life, and a little bit of science fiction and fantasy to tell a tale in which chimps and humans switch places. So it seems high time I read more Self. I bought his collection, The Undivided Self: Selected Stories, and dove right into the first of what will surely be several wild stories: "The Rock of Crack as Big as the Ritz." The story opens with a guy named Tembe saying he's smoking the rock of the aforementioned title. Around this time, his older brother Danny is coming home from Desert Storm to take care of his old uncle in south London. But while living with Tembe in squalor, Danny comes upon an unexpected find. He locates some crack cocaine in one of the walls. The he locates some more. Then more. Then more. Nearly every wall is packed full. He doesn't do the stuff himself, so he decides to keep the source secret and have Tembe do the dirty dealing to make them both money. Not much really happens in this story, but it's still a pretty poignant glimpse of how sordid, sad, and delusional the crack scene is, and it bodes well for the rest of this story collection. New Song Sunday: "Paul McCartney's Leftovers"